The other side of the Amalfi Coast! 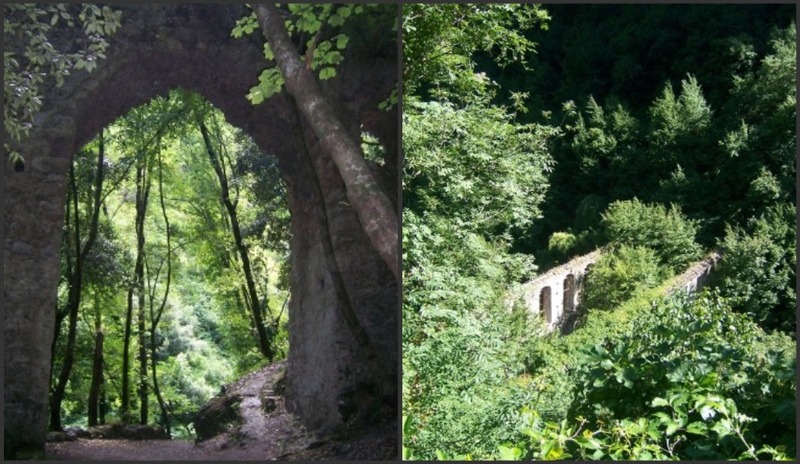 Experience the other side of the Amalfi Coast with a hike to the Valley of the Mills in the mountains about Amalfi. Stretching out between mountains and the sea, the Amalfi Coast is one of the most alluring travel destinations in southern Italy’s region of Campania. Vistors come from around the world to relax on the beautiful beaches of the Amalfi Coast and to savor the traditional flavors of the regional cuisine. 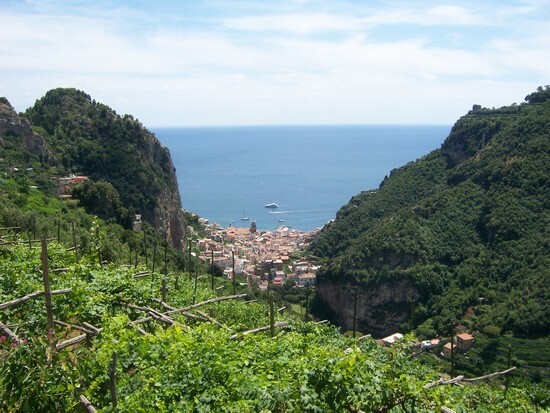 While the sea has an undeniable appeal, when you need a break from soaking up the warm Mediterranean sun, consider taking a hike into the mountains to experience the other side of the Amalfi Coast. The seaside town of Amalfi is set at the base of a river valley called the Valle dei Mulini, or Valley of the Mills, which was once part of the town’s thriving industry and prestigious paper production in the Middle Ages. This hike provides a glimpse into Amalfi’s fascinating history, while taking you in into the lush mountains above the town. While you can reach the Valle dei Mulini from the center of Amalfi and return by the same path, a wonderful alternative is the start the hike from the hamlet of Pontone in Scala. 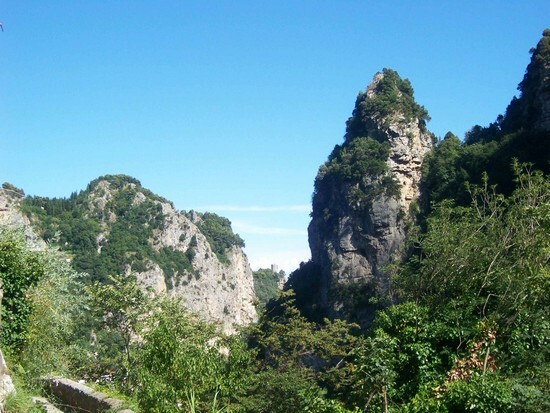 Located in the mountains above Amalfi, the views from Pontone overlooking Amalfi as you begin the hike are splendid. 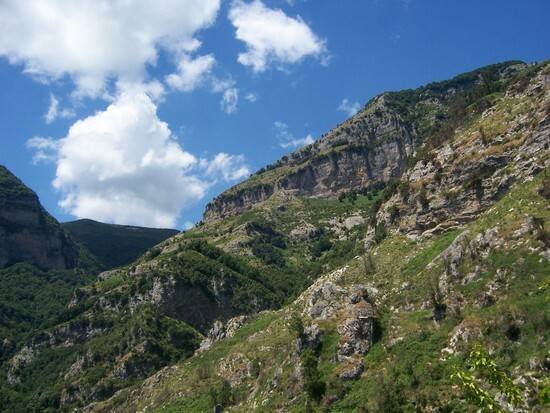 Following the pathway marked "Amalfi" leads you up into the mountain valley, where you’ll be surrounded by beautiful rocky mountains and absolute silence. Hearing the sound of the gravel crunching under your feet and the occasional call of a bird echoing through the valley, you’ll feel the quiet beauty of Amalfi’s mountainous side. 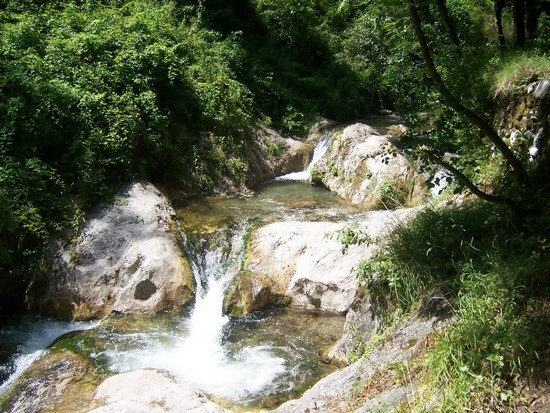 Soon you’ll hear the sound of water as you reach the Canneto river stream that once powered the busy paper mills and hydro power station for Amalfi. On a warm summer day it's the perfect spot to stop for a picnic or a refreshing dip in the ice cold water. As you follow the stream toward the top of the valley, the landscape changes to an almost tropical feel, surrounded by lush greenery and waterfalls cascading down the moss-covered rocks. At a certain point you’ll find the valley closed to protect a rare prehistoric variety of fern called Woodwardia Radicans. From there, turn back and follow the stream down the valley toward Amalfi, where you’ll pass the ruins of many paper mills. 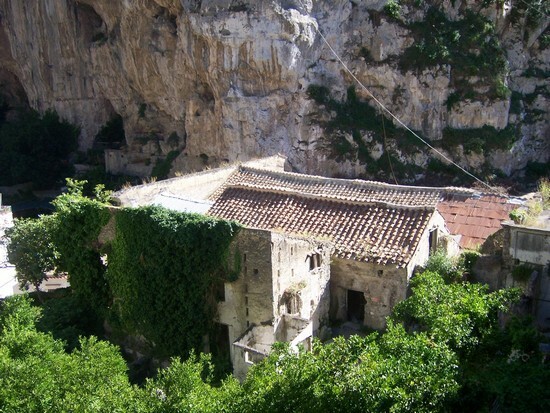 Some of the ruins along the way date back to the 12th and 13th centuries when the Valle dei Mulini became an important and successful paper making center for the Republic of Amalfi. Many of this mills were still active until the 1700s and 1800s, but over time the industry became difficult to sustain due to the challenges of the location and limitations of the ancient mills. Now they provide an evocative look into a very different side of Amalfi’s history that many visitors aren’t aware of today. As you head back toward Amalfi, you’ll spot many paper mills stretching across the Canneto stream, and it’s tempting to stop in the silence of the valley and wonder what it would have sounded like centuries ago to hear the mills hard at work producing Amalfi’s famous hand made paper. As you follow the curving mountain path back toward Amalfi, you’ll spot in the distance the Torre dello Ziro, a medieval watchtower high above Amalfi. If you’re a good hiker, this is another enjoyable walk on the Amalfi Coast. As the pathway follows the valley toward Amalfi, you’ll soon find yourself walking amid terraces of lemon groves, and before long the sounds of Amalfi fill the air. Once back to the center of Amalfi, you can stroll through the narrow and winding medieval streets. When you reach the beach, turn around and look up at the mountains high above Amalfi with knew eyes, having experienced the natural beauty of the Amalfi Coast’s mountainous side!